Powerful inverters that are built with the sophisticated pure sine wave technology, such that it helps saving electricity and makes your appliances run smoothly and noiselessly. They have the maximum safety with auto reset, battery overcharge and deep discharge protection, reverse polarity protection, display for faults and MCB protection. Choose Flashcharge for the best in town inverters. 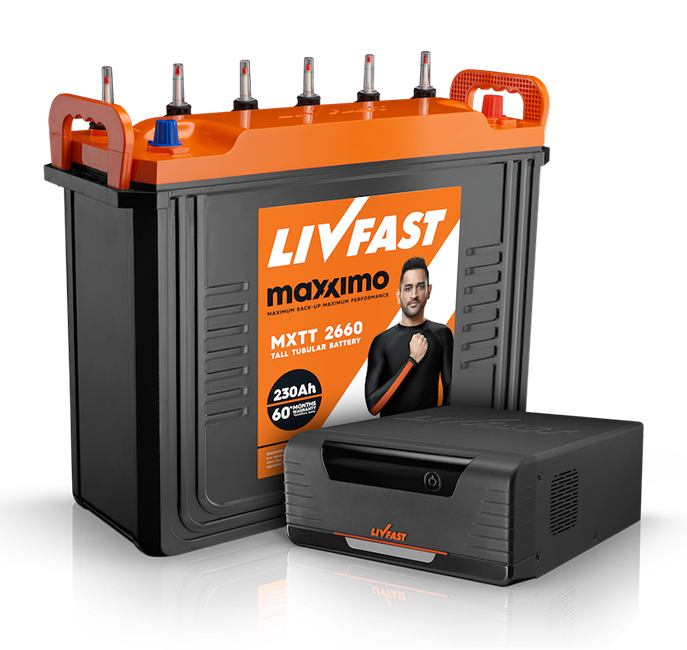 Unlimited power, long lasting batteries and a performance worth mentioning, that’s what Maxximo batteries are all about. Built with Tall Tubular, Short Tall Tubular, Short Tubular Jumbo and Flat Plate technologies, these batteries have 25% higher backup, 25% longer life and deep discharge cycle design with 100 AH – 230 AH power.